Fuhua Hotel is located in the national high-tech development zone of Weifang City, Shandong Province, the capital of international kites. It is affiliated to Weifang City Construction Development Investment Group Co., Ltd., which is owned by Weifang Municipal Government. It is a state-owned five-star foreign-related company in Weifang City. Fuhua Hotel is adjacent to Fuhua Amusement Park, which enjoys the reputation of “the first garden of Qilu”. 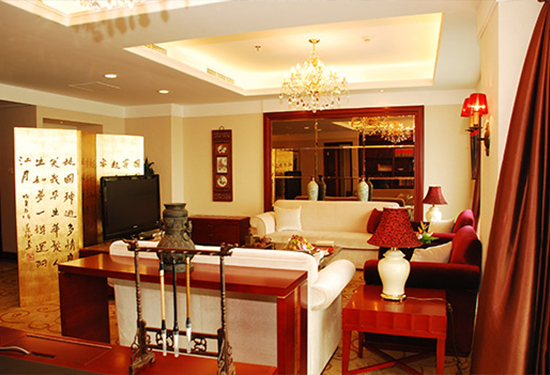 It is close to Qingyin Expressway and enjoys a beautiful environment and a superior location. The hotel covers an area of ​​6.4 hectares with a total construction area of ​​88,000 square meters. It was opened on April 20, 1995. In February 1997, it was officially rated as a five-star tourist hotel by the National Tourism Administration. 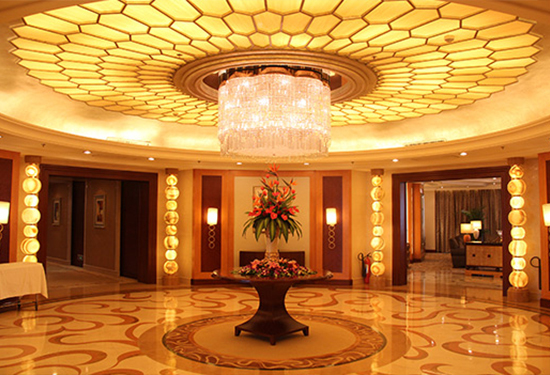 It is the first five-star tourist hotel in Shandong Province. The hotel is provided by the United States Ecolean Design Institute, the China Construction Eighth Engineering Bureau carries out civil engineering, Hong Kong Bo Nian Design Consultant Co., Ltd. is responsible for the decoration design, Hong Kong New City Design and Decoration Company undertakes the decoration construction, is a large-scale, fully functional Five-star tourist hotel. Centered on the middle main building, the left wing is the international conference center, the right wing is the international club, the club is opposite the Fuhua conference reception center, and the four relatively independent building units shine, making the Fuhua Hotel unique to the international hotel. Resounding. With six independent restaurants and two bars, each with different styles and complete cuisines, Weifang Food Culture City integrates local culture and traditional cuisine. Its 8-meter-diameter Fuhua Chaotian pot is known as the “Tianxia Pot”. 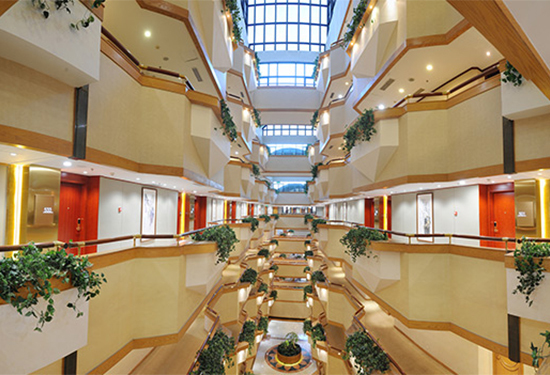 227 rooms in the main building (five-star), 332 rooms in the Fuhua Conference Reception Center, complete facilities; more than 30 meeting rooms for ten to thousand people, indoor heated swimming pool and other entertainment facilities; WIFI unlimited network seamless Coverage, providing maximum convenience for your travel and business trips. The hotel's design, architecture, decoration, and the fusion of East and West wisdom make the hotel luxurious, distinguished, transcendent and unique. As you walk through the main entrance of the hotel, a feeling of openness will be born with a ring-shaped lobby that connects up and down and connects things. The lobby is decorated with light pastel Italian marble and European-inspired luxury. There is a fountain in the center, and sometimes the waterfalls roar, and sometimes the creeks are swaying, and there is no shortage of elegant and quiet beauty. Strolling or sitting in the lobby feels like enjoying the Emperor Waltz of Johann Strauss. Fuhua Hotel adheres to the service concept of “standardized professional and sensible service”, and always strives to improve guest satisfaction, improve service quality, and actively fulfill the functions of Weifang reception service window and communication activity center. Since its opening, the hotel has successfully hosted Jiang Zemin, Zhu Rongji, Xi Jinping Party and national leaders, former Malaysian Prime Minister Mahathir, former Singapore Prime Minister Lee Hsien Loong and other important guests, as well as previous Weifang International Kite Festival and Lutai Economic and Trade Fair, Weifang Major party meetings such as the Party Congress and the Political Association. In recent years, it has won the Shandong Province Tourism Service Standardization Pilot Enterprise, the Provincial Tourism Credit Demonstration Unit, Shandong Province Tourism Service Brand, the Hospitality Shandong New Year Organization Organization Work Advanced Collective, Organization Award, Mei Chen Competition Winner, Hospitality Shandong New Year Conference Award, Shandong Province Civilization Tourism Advanced Unit, Shandong Hotel Catering Innovation Award, Shandong Top Ten Business Hotel, Weifang City Civilized Table Action Demonstration Store, Weifang City Influential Brand Hotel, Food Service Advanced Food Safety Unit, Weifang City Civilization Tourism Advanced Unit And many other honors.